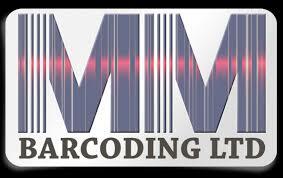 MM Barcoding is a long established international company specialising in barcode printers,scanners,label making software,printheads,labels,ribbons and spare parts. We supply and service all the major brands including Zebra,Intermec,Sato,Datamax,Toshiba Tec ,CAB,Printronix,Motorola and Datalogic.We pride ourselves on supplying our customers with a ‘one stop shop’ for all their barcoding requirements. In line with ongoing customers’ requirements-especially in food,beverages and pharmaceutical-we have now extended our range of products to include verification and validation systems. Our range of verifiers and scanners will ensure you always have the right information on the right product at all times in a fully readable format. Our systems ensure that our customers achieve dramatic reductions in waste caused by bad or wrong codes.